Continuing on his years-long excavation of Sydney’s psycho-geography, Ross Gibson constantly tests the capacities of the genres available to us as story-tellers. Each offering defies easy categorisation. Reviews of The Summer Exercises (2009) deemed it more prose poetry than novel, so here he is, nestled in UWA’s poetry list, letting his found texts fly. His visual practice uses photography as a gateway for story: archival treasures resurfacing contemporary places, or rural landscapes hiding scars – but here, to punctuate pages of personal description, he has included a series of ‘trace-veiled buffed portraits’ (152) that add ambience, not detail. Our eyes slide through them, unable to fix on details that are overwhelmingly graphic in the text. Both the text and images were foundlings, rescued from different sections of the same Kogarah junk shop (10). Photos in a brown paper bag, a 1957 NSW Criminal Almanac. The latter’s materiality is shared on the title pages: worn leather, quarter-bound, flaking from constant handling. It is the only photograph that shows detail. 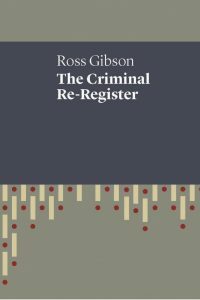 Gibson’s introduction and Alan Wearne’s excellent overview tells the back-story of its importance as an capsuled intranet, a private shuffling of information that is ostensibly formal, but often superbly eccentric, and this is Gibson’s gift: the recognition of poetics in institutional archives. He shares with us lists of characters collated from the files (‘Who you will find here’ (17), ‘Underworld Nick-names and Noms-de-Crime’ (42)), and methodologies (‘Notes for Detectives and Men in Plain Clothes’ (28)), and then we are set off through a march of individuals, each paraded with distinguishing features and traits. It is prose, but there are repeating chimes that pull poetry through with us, like the trail of ‘frosty blue eyes’ and ‘chalky-blue eyes’ that speak to one individual’s pen. In the glow of his title, offender romanced and affianced a daughter and prevailed upon the family to sell the property and accompany him to England. But the father intervened against the wishes of his daughter and reported offender to the Metropolitan Police. ‘Sir David Bentham’ promptly went missing. The daughter remembers his scars. A spinster secretary at the Pagewood company has provided descriptions of his scars. At a time when the concept of genetic trauma is being researched and debated, Gibson’s offerings on Sydney’s developmental gene-pool are as profound as they are entertaining. They are a valuable resource that sits comfortably on a poetry shelf, offering further imaginative openings, conversations, and possible re-interpretations. After reading a selection of these poems in Axon: Creative Investigations [link: http://www.axonjournal.com.au/issue-9/different-hemispheres], each accompanied by a photograph by Abbs’ sister, Elizabeth Roberts, I was sorry to see that this volume only includes a photograph for each of the five sectioned groupings. 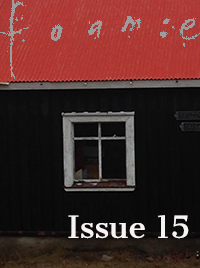 While the poems do not need photographic support, the pairings in Axon are lush and fruitful, and it is difficult to discern whether they are ekphrastic or mirrorings. garden, window in the background, foliage reflected in glass. and momento mori, where the poet becomes ‘The photographer on the ceiling’ (‘Anemones (black and white)’ (63)). In section four, where she draws upon visual art for emotional touchstones, she includes photographic portraits (‘A Photographic portrait: Lauren [Eyes closed], Petrina Hicks, 2003’ (86) and ‘Doris Lessing, 1959’ (87)). A photograph of a long-nosed British sheep becomes the ‘Mona Lisa’, relieving her of the day’s preoccupations (95), and Chris Kilip’s 2004 black & white ‘Tenement Building’ in the Tate becomes a meditation upon care. Every poem is composed with the care of a studio photographer, arranging stories for the reader that contain enormous emotions but never burst free of their frames. I recommend looking at Roberts’ photographs in the Axon article, then returning to the book, for an augmented sense of the keen visual sensibilities of both sisters and their shared emotional lineage. There is nothing constrained about what is shared with the reader in this deeply emotional, beautifully constructed paean to grief and loss. 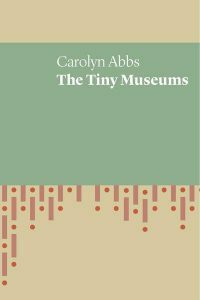 Another hybrid offering, it weaves a highly readable contrapuntal mix of poetry, memoir and writing theory, punching through the pages with a deft use of bibliographic code: font style, font size, form and a dramatic use of page space. There are very particular kinds of mourning that are unique to the experience of bearing a child. Some are small losses, like the relinquishment of an intimate relationship at childbirth, mediated by the joy of having a child. The bittersweet sense of loss at a significant birthday when they become an adult, missing the smell and touch of their infant skin. These are communal, sweet losses, sometimes shared between mothers in conversation. These elements are used to evoke concepts within mourning ritual, literature, visual art, and nature. Colours are leached, but then rediscovered, and pulled close. Like Gibson and Abbs, Heqc foregrounds generational trauma, drawing connections, refusing to haul the emotional labour alone. She too uses story-telling, but in a much more direct way: Gibson has given us stories, Abbs has woven her own voice with those of her family, and Hecq is speaking to us directly, unflinchingly, not breaking eye-contact. 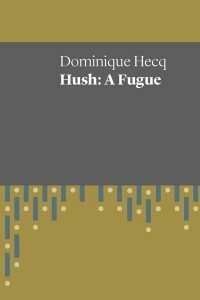 All of them demonstrate what Hecq calls ‘an ability to be, and to be attentive.’ (31) She describes the tight inarticulate helplessness of being between life and grief, and then the rush of opening up to daily routine, to the needs of the living, and to her own processing of the experience. It is a poetic interrogation of process as healing, acknowledging that there is no end point. There is escape, loss, anger, relinquishment, and rebuilding. Haiku, positioned as section breaks, are small but important observations that everything continues to happen, that the self can be separate yet part of the world. Like Euridice (who is invoked many times), Hecq shows that one can go to the depths and return to new life without losing the part of oneself that stayed behind.